Mobile-friendly websites have just received a new tool to streamline navigation even more. 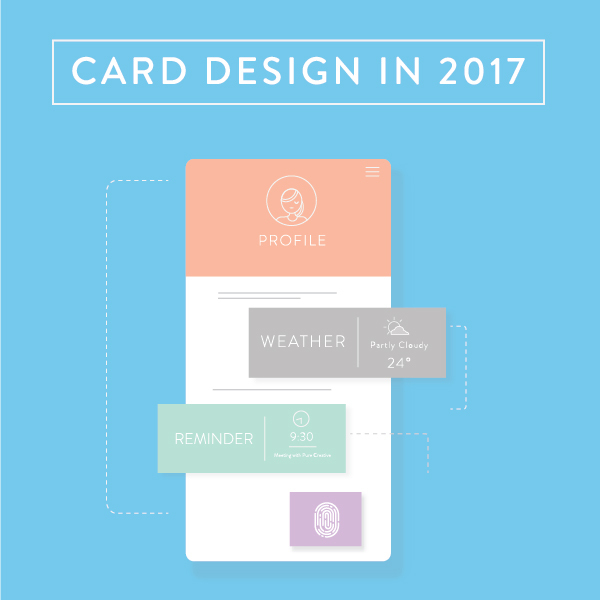 Card designs were created to help websites transform to mobile technology. Card design are content dividers. It is a tool to help improve the structure of website, correctly sectionalise it and associate it with relevant information. Cards allow users to choose an action. This is evidence that UX design is starting to focus more on its users’ needs. Web users can now upload videos or images to Twitter more rapidly, while attracting more traffic to that specific website. Next post Does metallic have a place in 2017 design?